Residents of the Bedford-Stuyvesant apartment building said they saw a woman force open the door and pour gasoline on the stairwell Thursday morning. Resident Shanell Dukes, 18, who escaped with her 26-year-old brother, were woken up by people screaming “Fire! Fire!” she said. Firefighters said they got to the scene within three minutes, but the blaze had already spread to two floors — trapping helpless victims inside. Firefighters had to saw through window bars to reach the trapped residents. At least one victim was unconscious, officials said. Four of the 11 residents rescued were in critical condition Thursday morning. Two others had serious injuries. Story from NY Daily News, click the link below for more on the story and video! After a neighbor alerted the fire department to a blaze in a northwest bungalow, crews pulled a man sleeping in the basement out to safety. Fire crews did not hear any working smoke detectors sounding at the blaze, which began in the home on Northmount Dr. N.W. just after 9 p.m. Saturday. Battalion Chief Allan Ball said smoke was billowing out of the front and rear of the home when crews arrived. A man, believed to be in his 50s, was found sleeping on a couch in the basement and taken to safety. Two other people managed to escape the home before crews arrived. The man pulled from the fire was not transported to hospital. Initial reports indicate the male was originally buried up to his neck in a trench he was digging; coworkers were able to dig him out up to his chest. Arriving crews worked to stabilize the area so he could be removed. He was removed from the trench at approximately 10:45 a.m. and taken to Paoli Hospital in stable condition. 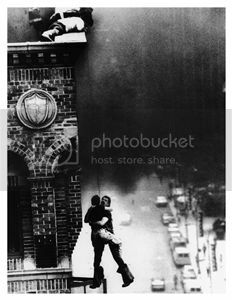 “CAMBRIDGE MASS – A man was rescued by firefighters from a smoke-filled apartment on Monday evening. Amazing to think this news is but a blip…good on ya Cambridge brothers! 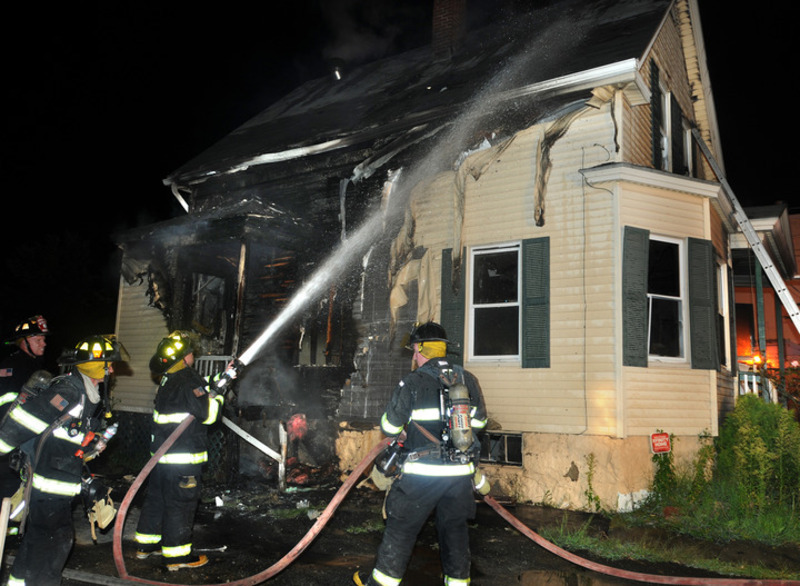 METHUEN — A two-alarm fire on Spruce Street early yesterday morning sent a woman and her baby to the hospital and left their family of three homeless. 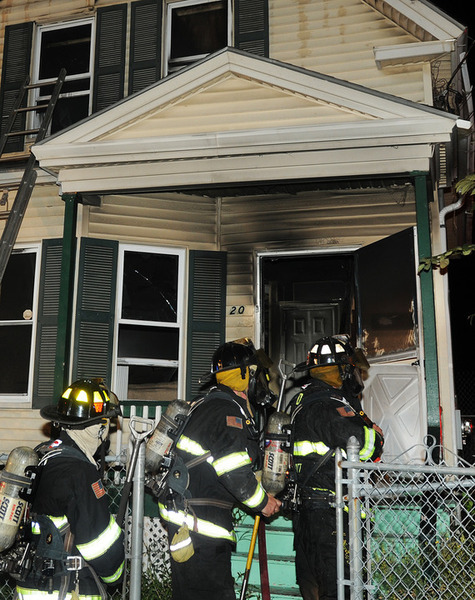 Fire officials said the woman and her 13-month-old baby were taken to Holy Family Hospital for treatment of smoke inhalation after they and the woman’s husband were rescued from a porch roof at 20 Spruce St. just after 1 a.m. yesterday. The man was not treated. The heaviest damage happened to the exterior wall around the side porch and to the roof. The interior had smoke and water damage as well, Hamel said. Firefighters spotted the family on the roof of one of the porches, nearly hidden by the heavy smoke, Hamel and Deputy Fire Chief Dennis Fragala said. “They had come out of a window. The crew threw up a ladder and brought them down. They were pretty much invisible in the smoke,” Hamel said. 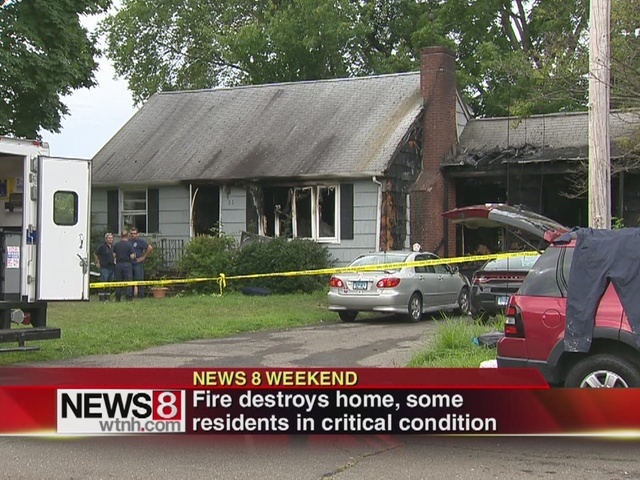 NORWALK, Conn. (WTNH)– Two people jumped out windows to escape a burning house Sunday morning, two others inside had to be rescued by firefighters. Neighbors spotted flames shooting up from 33 Pettom Road in Norwalk, around 5:30 AM. They called 911 then banged on the doors to wake up those inside. Two people inside jumped out windows, but firefighters had to search to find the others trapped inside. One person collapsed behind the front door, the other was found in an upstairs room by a window. “Actually the crews had to protect the crews that were trying to get the person behind the front door, extricate him at the time, get him out of the house and crews then entered the house and a found a person on the second floor,” said Deputy Chief Edward Prescott, Norwalk Fire Department. Crews were able to get the fire under control in about twenty minutes. One person was able to get out safety. Three remain in the hospital, with two in critical condition. Report from News 8 WTNH Video included. Remember brothers, even when it looks to be unsurvivable don’t forget to have a 360 degree look. A strong push makes the difference! 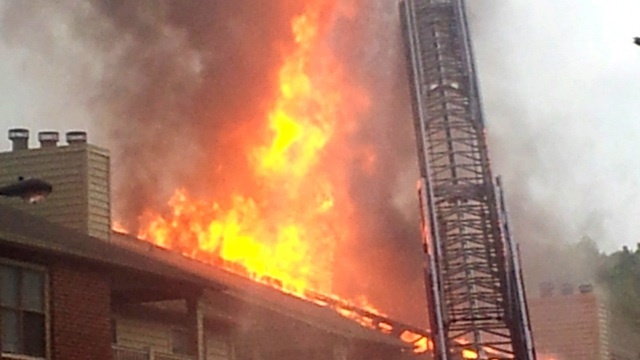 A mass of raging fire ripped through the roof of apartments along Powder Springs Street in Marietta and reached to the sky Friday morning. Fire fighters on scene used a ladder top rescue two people trapped on third floor of the affected structure, FOX 5 Atlanta has learned. Via GA news daily and ATL FOX 5 news. 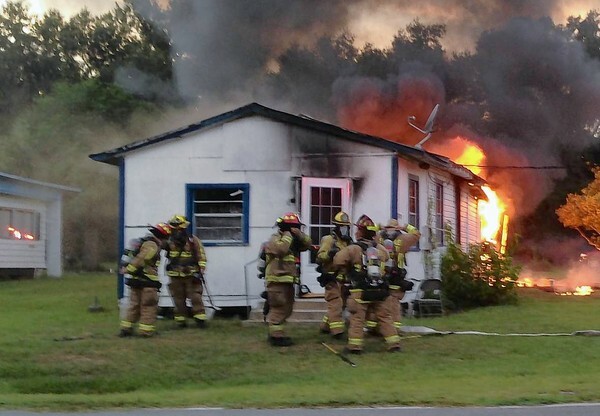 Man dies, 2 women critically hurt in house fire near Oviedo Fla.
One man died and two women were critically injured Sunday night in a fire at their home in the 3000 block of East Street in the Jamestown community near Oviedo, according to the Seminole County Fire Department. Seminole public information officer Paula Thompson did not release the names, but said the women were taken by ambulance to Orlando Health. They are in critical condition, Thompson said. Aug. 13–PORTSMOUTH Firefighters rescued a man from his bedroom this morning after a fire was sparked in the kitchen of his home in the 1500 block of Cavalier Blvd. Remember the primary and do it fast! 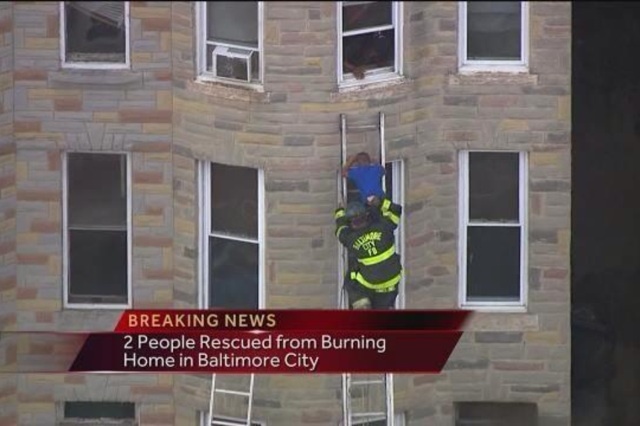 BALTIMORE (WMAR) – Firefighters rescued two people from a row house fire in Baltimore City Wednesday afternoon. Fire crews were called to the 2000 block of West North Avenue around 4 p.m. Wednesday after reports of a fire on the first floor. When crews got to the scene, they found two people who were trapped in their third floor apartment. Firefighters were able to rescue the father and son. Both victims were treated for smoke inhalation. No other injuries were reported.